Why Loyalty Lion and MailChimp? MailChimp is an always-on marketing platform for small businesses, making innovative, beautiful products that empower those businesses to find more customers. Using MailChimp and LoyaltyLion together, merchants can seamlessly incorporate loyalty information into ecommerce emails to encourage next purchase and retention. 2. Follow the instructions on the page. 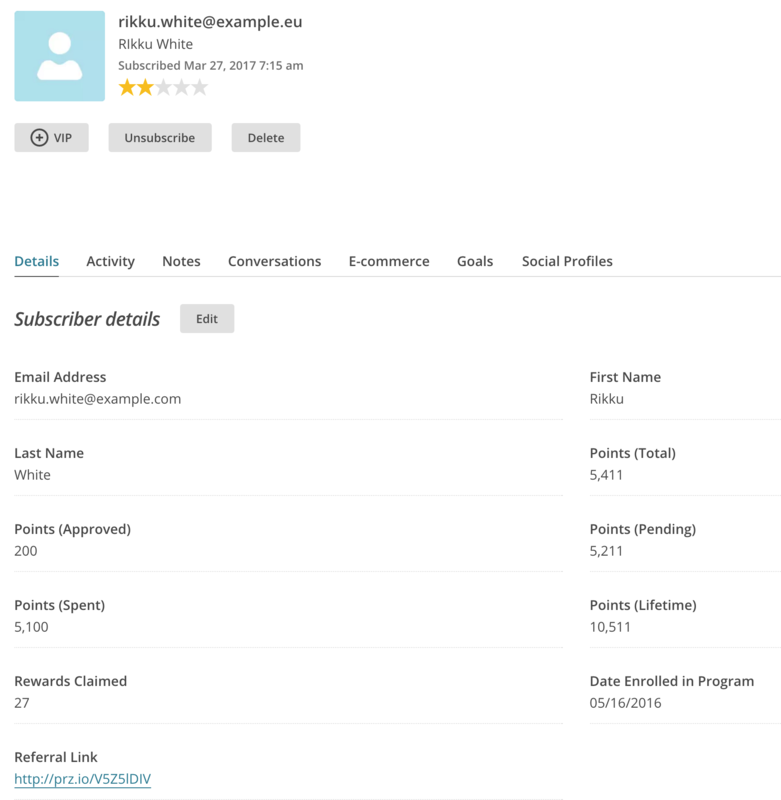 What fields are synchronised to MailChimp? Note that we create these fields as private fields, i.e. they will not automatically appear in sign-up forms or similar. You should take care not to delete or change the attributes of the fields manually in the MailChimp interface. How and when do we push updates to Mailchimp? Whenever a customer changes in LoyaltyLion (e.g. by earning or redeeming points) LoyaltyLion will update a matching customer in your chosen list who has the same email address. If the list does not contain a member with the same email address, we won't do anything. We will update any member of the list, even if they are not subscribed - this is useful if you use MailChimp to send transactional emails. What happens to customers who aren't on my list already? We are not permitted to add a customer to your MailChimp list as we don't know if the customer has opted into receiving an email from you. When a customer who isn't on your list is later added to your list through another source, LoyaltyLion will sync to MailChimp as soon as they take an action (earning or spending points) within the Loyalty Program. *If you're on Shopify, we recommend using the MailChimp app to build your list; it supports both independent signup forms which you can embed on your store and syncs with the "newsletter signup" checkbox during checkout. How can I use this data to help my business? This data will help you increase revenue, engagement and customer acquisition, as well as segmenting customers based on their loyalty properties, prompt customers to refer their friends by emailing them with their referral link and more. Click here to visit Mailchimp's website.